These dogs are everyone’s favourite pet. Here they are treated to a luxurious setting, each one is extremely comfortable and happy to together. 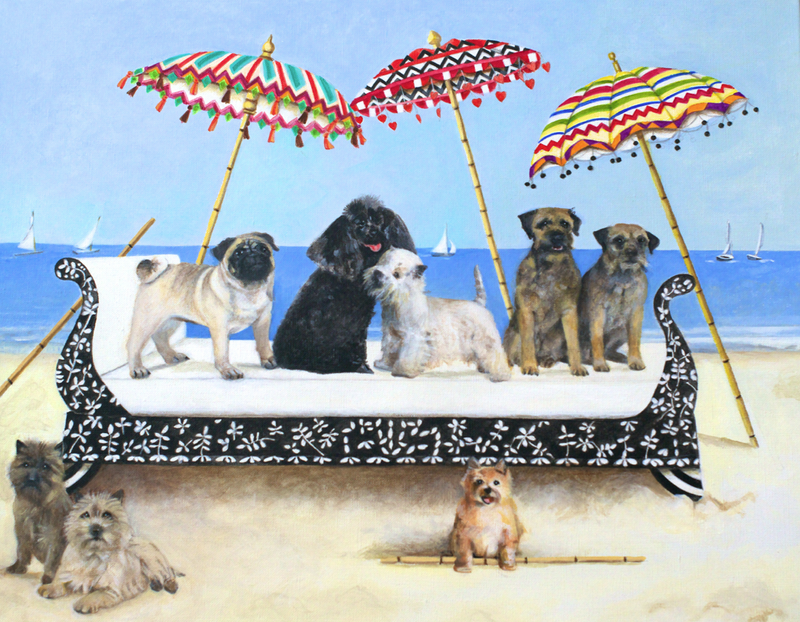 The black and white bed and colourful parasols were the initial inspiration and seem to compliment the dogs, likewise the blue sky, sea and sand.